Sarah Parker is a proud native of Valdosta, GA. After graduating from Open Bible Christian School, she attended Moultrie Technical College where she pursued training as an Aesthetician. 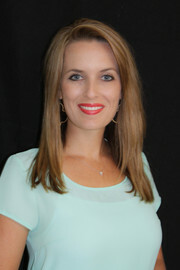 Sarah worked as a Medical Aesthetician at The Spa owned by Southern OBGYN where she enjoyed serving others. Sarah is married to Jason Parker, owner of Parker Pools, who builds custom in ground pools in Valdosta and the surrounding counties.She and her husband are active members and Lifegroup leaders at CrossPointe Church located in Valdosta. They have two beautiful children, Dawkins 7, and Mollie 5. Sarah enjoys spending time with her family, decorating, and truly loves helping others find the perfect place to call home. Please give a Sarah a call at 229-244-1992, Ext. 126 or 229-563-7364 for assistance in any of your real estate needs.